When I grew up, Roger Moore was James Bond. After all, Sean Connery last played the role when I was but a tot of four, so I never actively knew him in the part. From the instant I understood the existence of James Bond, Moore was the man, and Connery was just a dude in some old movies. However, my childhood is long behind me, and my opinions have changed radically in regard to the actors who portrayed Bond. I now clearly recognize Connery as The Man and think Moore was at best a caretaker for the part. Granted, Bond enjoyed a lot of success over his seven-film tenure, but those pictures seem somewhat silly and cutesy compared to Connery's better work. Or do they? 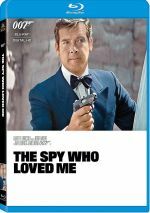 Frankly, I was more nervous about 1977’s The Spy Who Loved Me than the other Moores just because it's the one with the best reputation. In fact, it often is cited as the best of Moore's tenure. That raised expectations and led me to fear I'd hate it. Such was not the case. Somewhat surprisingly, I found Spy to offer a genuinely smart and satisfying Bond adventure. Would I put it up there with the strongest Bonds? Probably not, but it seems likely to earn the prize as Moore's best outing. The plot, as so often is the case with Bond films, is fairly convoluted but essentially revolves around Bond's need to stop a nutbag named Stromberg (Curt Jurgens). The madman wants to kill lots of people due to his desire to start a new civilization under the sea. Anyway, the story gets obtuse at times but remains clear enough, and the film moves along at a nice clip. It boasts some very solid action along the way, bolstered by the addition of a strong new villain, Jaws (Richard Kiel). I expected to dislike Jaws just because he seems such a goofy baddie, but he's effective both as a tough guy and as comic relief. In this appearance, at least, the filmmakers refrain from going over the top with the silliness, so Jaws makes for a welcome presence and stays one of the most memorable Bond villains. Spy features one of the more capable Bond babes in Major Anya Amasova (Barbara Bach), 007's opposite number in the KGB. She seems Bond's equal in regard to skill and resourcefulness, though of course he eventually needs to rescue her. You take progress where you can find it, I guess. For the late-Seventies, Amasova represents a large step up from the weak women we found in most of the preceding films, especially after the obnoxiously incompetent Miss Goodnight in The Man With the Golden Gun. Too bad that the future Mrs. Ringo Starr wasn't much of an actor. She seems stiff and wooden throughout the movie, and her Russian accent totters from start to finish. Bach remains one of the loveliest of the Bond women, and the role is strong enough to withstand her weak performance, but her awkwardness stands as one of Spy's weak points, especially in comparison with Moore's natural and relaxed work as 007. Despite that and a few other minor flaws, The Spy Who Loved Me works very well. I'm no fan of the Moore Bonds, but this one offers enough good stunts, cool gadgets - particularly the Lotus Esprit - and light, breezy pizzazz to win over even the most ardent Connery-phile. It even tosses in a clever nod to Lawrence of Arabia - what's not to like? The Spy Who Loved Me appears in an aspect ratio of approximately 2.35:1 on this Blu-ray Disc. This was a pretty satisfying presentation. The majority of the flick demonstrated fairly good definition and delineation. Some wider shots could be a bit soft, but those weren’t major concerns. Instead, the majority of the flick appeared accurate and distinctive. No issues with jagged edges or shimmering occurred, and edge haloes failed to mar the image. Print flaws also didn’t materialize. Colors were usually more subdued than in most Bond films. Some instances of bright and vivid hues occurred, but for the most part, the film used gunship gray or brown as the primary tones. Still, the colors we saw did look fairly accurate and true, so I didn't have any complaints about them. The black levels were fine, with deep and dark tones, and shadow detail appeared perfectly adequate. Overall, Spy offered a pleasant image. The DTS-HD MA 5.1 soundtrack offered a decent little soundfield given the age of the material. Unsurprisingly, the center channel bore much of the audio burden, but the imaging often spread to the front right and left speakers and did so effectively. The transitions could seem a little harsh and the image wasn't incredibly well-blended, but the localization appeared decent and the effect spread out the sound adequately. The mix used the surrounds sporadically but well. For the most part, they kicked in only during the action scenes but some other appearances occurred as well, such as during the "Pyramids" scene when the rears nicely reinforced the echo effect. For an old movie, the activity level of the various channels seemed more than adequate. The quality of the audio was a bit iffier, however. Like many Bond flicks, dialogue seemed heavily dubbed, but not always effectively. I found the tone of the speech to vary quite a lot throughout the movie. Much of it seemed relatively stiff and cold, but at times it could appear decently warm and natural. Barbara Bach's lines were the worst-sounding overall. I got the impression someone else's voice was dubbed over hers, though I found no evidence this was the case. The music worked fairly well. Marvin Hamlisch’s score appeared acceptably smooth and lush, and the famous pseudo-title song "Nobody Does It Better" came across nicely. Effects were also generally clear and realistic, though these could be erratic as well. All of this added up to flawed but more than acceptable audio given the vintage of the source material. How did this Blu-ray compare to the Ultimate Edition DVD from 2006? Audio sounded somewhat clearer and more dynamic, while visuals showed stronger definition and distinctiveness. The Blu-ray was a nice upgrade over the DVD. 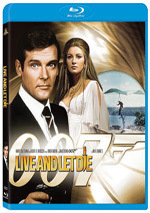 The Blu-ray repeats most of the UE DVD’s extras, and we get two separate audio commentaries. The first comes from director Lewis Gilbert, set designer Ken Adam and special assistant to the producer Michael Wilson. Screenwriter Christopher Wood joins them after 33 minutes for this running, screen-specific chat. They discuss locations and set design, characters and story issues, stunts and effects, cast members and general production subjects. This commentary offers a decent look at the movie, but it featured too many "that was good!" moments. I found lots of interesting information, but those other moments of reflection weigh down the piece to a degree, whereas they're rarely heard in the assembled commentaries. Still, I enjoyed the track and think it's worth a listen. 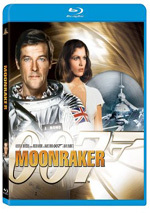 For the second commentary, we get a running, screen-specific chat with actor Sir Roger Moore. At its start, he tells us that he plans to provide general notes and not give us actual screen-specific material… before he delves into very screen-specific material. Actually, this dominates only the first portion of the commentary, as Moore loosens up after a while and offers more anecdotal information for much of the rest of the track. Moore chats about his impressions of various cast and crewmembers, sets, locations, stunts and other technical issues, and various thoughts about making a Bond movie. As I noted, early parts of the track focus strongly on the film’s specific scenes, but as Moore warms to the task, he digs more general subjects. Moore boasts a nice wry sense of humor that he exhibits as he offers many interesting story about his life and career. These always connect to Bond in some way, so even though they may relate to other projects, there’s always a link to Spy. Moore also proves to be quite frank about his experiences. No, he doesn’t sling dirt about co-stars or anyone, but he isn’t afraid to tells stories at his own expense. This is one actor who doesn’t pretend that he did all his own stunts, and he even lets us know how a nasty case of the shingles affected him during the Spy shoot! Occasional examples of dead air make this track a little slow at times, but Moore gives us enough useful and entertaining material to make it a winner. Declassified: MI6 Vault starts with 007 in Egypt. This six-minute and 12-second featurette runs 16mm footage from the set accompanied by commentary from Michael Wilson. As we watch the behind the scenes material, Wilson tells us about the images and general notes about the shoot. Some of this repeats information in the main audio commentary, but Wilson fleshes out the shots well, and we see some interesting elements. 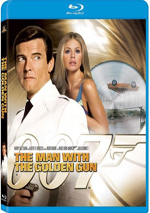 Another featurette called Roger Moore: My Word Is Bond goes for four minutes, 31 seconds. Wilson introduces the piece, which then leads into a compendium of interview snippets. We hear from Moore on the set late in 1976. He chats a little about how the role affects him, comparisons with The Saint, what he does between Bonds, his family, and other aspects of the 007 movies. Despite this piece’s brevity, Moore proves witty and engaging. That makes this an enjoyable program. On Location With Ken Adam fills five minutes, 55 seconds. These give us more “home movies” shot on location for Spy, and Adam himself narrates the images. Adam tells us about the spots and lets us know more about what we see. Adam gives us some nice insights in this quick but effective segment. For an original 1977 featurette, we go to the one-minute, 10-second 007 Stage Dedication. It takes us to the Pinewood studio’s opening in December 1976. Don’t expect anything scintillating, but it’s nice as an archival piece. “Declassified” ends with a Escape from Atlantis Storyboard Sequence. It goes for two minutes, 20 seconds and comes with another intro from Wilson. These offer a slightly different version of the movie’s ending, and that makes them moderately interesting. Heading to Mission Dossier, we begin with Inside The Spy Who Loved Me. The 40-minute, 41-second piece includes comments from Gilbert, Moore, Adam, art director Peter Lamont, actor Richard Kiel, and editor John Glen plus lots of great archival interviews and other behind the scenes footage. In the latter category we find such great stuff as raw shots of the stunts and Barbara Bach's test scene plus a plethora of other wonderful material, such as details about how Stanley Kubrick (!) became involved in the film. All in all, it's a genuinely entertaining and informative program. A second video program appears as well. Called Ken Adam: Designing Bond, this 21-minute, 42-second piece provides a nice biography of production designer Adam, who worked on seven Bond films. Adam deserves a lot of credit for the success of Bond, since his elaborate sets helped create the atmosphere for the movies, and this documentary does a nice job of relating his successes to us. We get a basic biography of Adam but the main focus is on his work for the Bond films, of course, and we discover a lot of good information about this area through interviews with Adam and his cohorts plus a variety of behind-the-scenes materials. It's yet another fine documentary that is very enjoyable and interesting. Exotic Locations (4:49) gives us a narrated set of clips. Maud Adams chats over the scenes and tells us about the locations. This delivers some interesting details. Ministry of Propaganda splits into three areas, and Theatrical Archive features three trailers. Two of those are very good teasers - the first one, which has a fun introduction from Moore, is the best - and the other is a standard theatrical piece. Six TV spots can be found, all variations on the trailers except for the sixth, which features intermittent narration from a bevy of seemingly-naked beauties. Twelve mildly interesting radio ads complete this area. Finally, the Image Database presents a Photo Gallery. This breaks down into nine areas. 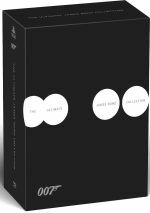 We get sections devoted to “The Filmmakers” (five images), “Portraits” (11), “Pre-Credits Ski Action” (10), “Sardinia” (10), “Bahamas” (7), “Egypt” (4), “Pinewood” (4), “The 007 Stage” (8) and “Around the World with 007” (13). The photos give us a nice selection of images. The Spy Who Loved Me stands as possibly the best of Roger Moore's Bond films. Although that may seem faint praise, it shouldn't diminish the fact that this is a very good film. The Blu-ray offers consistently good visuals and audio as well as a solid set of supplements. This becomes one of the more satisfying Bond Blu-rays and movies.